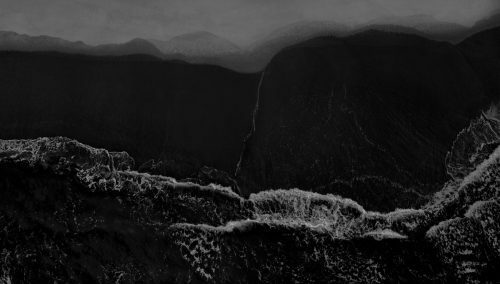 Sydney-based artist Julia Davis has taken out the $15,000 City of Devonport National Art Award: tidal.18 with a single channel video loop titled, Undercurrent, 2017. 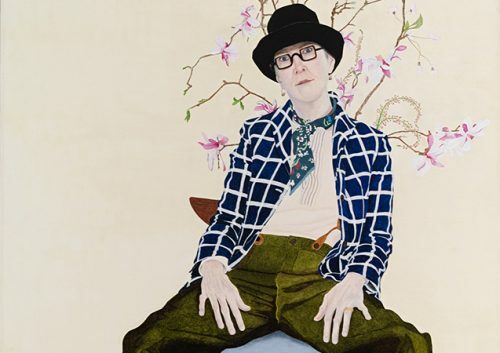 Congratulations to Lynn Savery who has been awarded the 2018 Doug Moran National Portrait Prize. 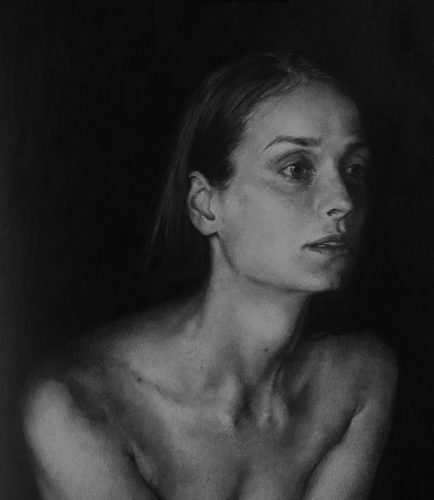 The prize was the first portrait competition Savery entered, and she won the $150,000 with a portrait of herself and her dog. 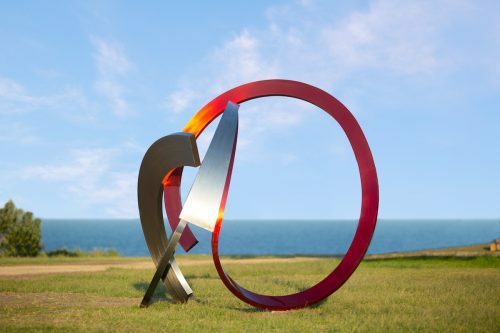 The major acquisitive prize from Sculpture by the Sea has been awarded to James Parrett. The Victorian artist took out the $70,000 Aqualand Sculpture Award with his large metal sculpture M-fortysix. 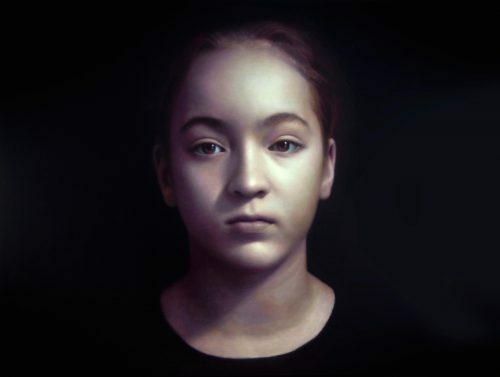 Congratulations to Marcus Callum who has won the 2018 Shirley Hannan National Portrait Award with his painting titled Meg. 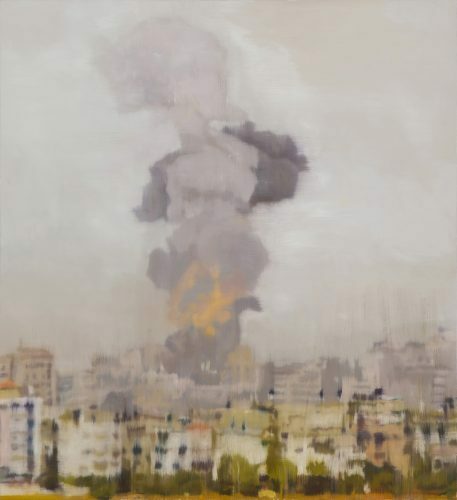 Braidwood-based artist Kate Stevens has won the inaugural Evelyn Chapman Art Award for her work Gaza, 2018, a painting based on imagery found in online news footage. Congratulations to Tamara Dean who has taken out the $25,000 acquisitive Josephine Ulrick and Win Schubert Photography Award with her colour photo, Sacred Lotus (Nelumbo nucifera) in Autumn from the series In our Nature 2017. 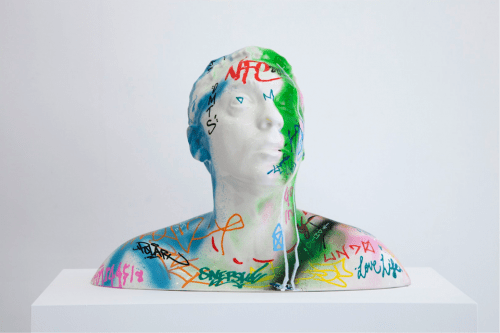 Congratulations to Tim Silver who has won the $20,000 Woollahra Small Sculpture Prize for 2018. 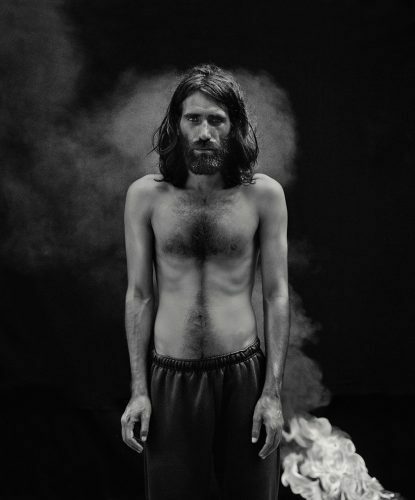 Congratulations to Hoda Afshar who has won the $30,000 William and Winifred Bowness Photography Prize. 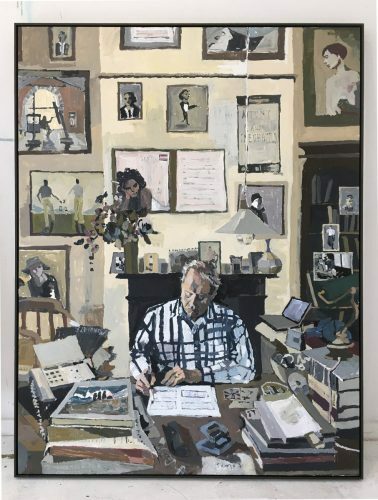 Congratulations to Akil Ahamat who has won the $10,000 non-acquisitive John Fries Award, administered by the Copyright Agency. 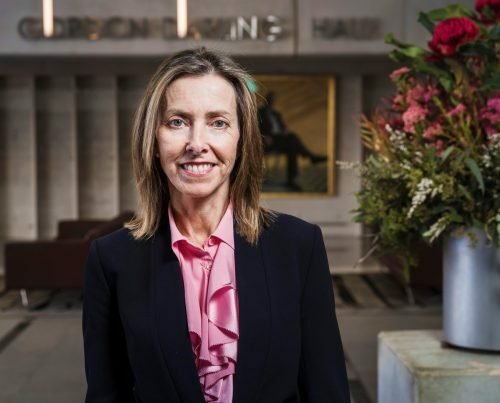 Karen Quinlan has been appointed as the new director of the National Portrait Gallery of Australia in Canberra.